Instead of £102.00. 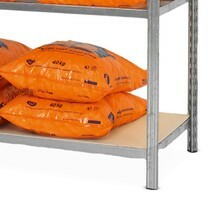 You save £5.10 due to the online discount . 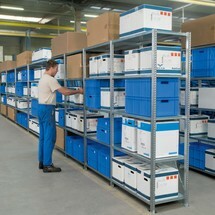 Optimise your operational workflows with well organised material and goods storage. 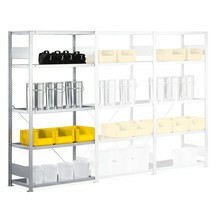 The META shelf rack with bolted assembly offers a flexible solution for efficient configuration of your storage space. 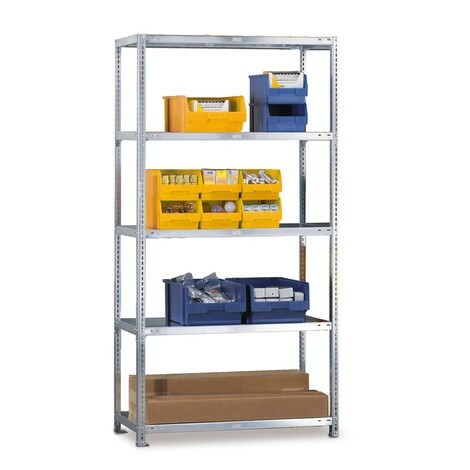 The robust, bolted metal shelf rack features solid, galvanised shelves with a 3-point safety edge to withstand the wear and tear of long-term use. 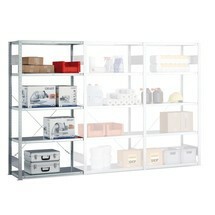 The shelving system is highly versatile since it can be expanded with add-on units for open storage. 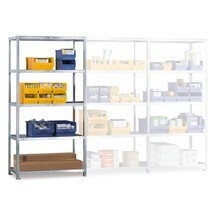 The bolted assembly ensures that the rack units are securely connected, while also allowing them to be separated at any time and re-assembled in different configurations. 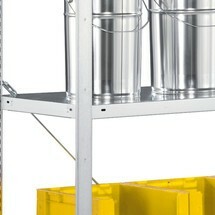 The bolted metal shelving provides double-sided access. 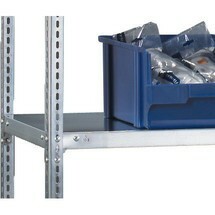 Holes in the rack frame allow you to adjust the individual shelves in 25 mm increments. 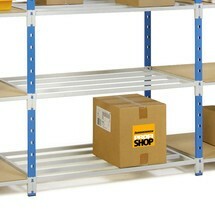 We offer the bolted META racks with an 80 kg shelf load in a wide range of sizes. 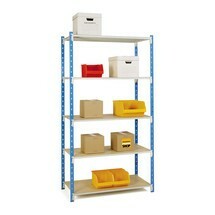 To ensure optimum utilisation of your storage space, order your bolted META shelf rack as a base unit from our shop today.